Let me introduce you to day trader, Keith Kern! 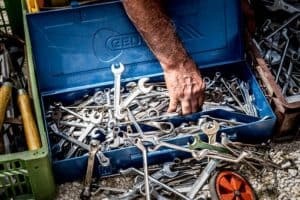 This Traders Toolbox review will help you decide if the service is right for you. Keith Kern Lightning Alerts are exceptional – let us tell you why! Keith Kern is 41 years old and he has been a full-time day trader since 2001. 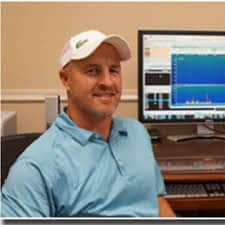 He specializes in momentum day trading small cap stocks that make predictable moves intra-day. The thing that I like about Keith Kern and his strategy is that it is quite simple to learn and uses a simple free scanning tool, simple trend lines and other basic indicators. Get started with a 3 day FREE TRIAL to the Traders Toolbox service! 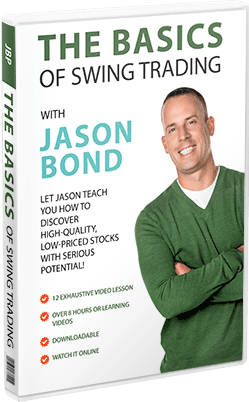 I am more of a swing trader (See how I made $50,000 learning to trade!) but I love Keith Kerns simple day trading strategy. Keep reading and I will reveal how you can add this profitable traders strategy to your tool box for free. Keith Kern Lightning Alerts can revolutionize the way you trade stocks. Keith currently works with several other multi-millionaire stock traders. He is the lead trader at Lightning Alerts which was originally a part of Biotech Breakouts Stock Alerts run by Kyle Dennis. His trading strategy is based on an absolutely obsessive loss mitigation strategy and generating the best possible risk reward for every trade – the key to success in trading! Keith Kern reviews – is he any good? Keith Kern now has his own chatroom and service, independent from Kyle Dennis. The service is called Traders Tool Box and it offers 3 different stock trading services. What does Traders Toolbox offer? The Lightning Room (check it out here). Keith Kern Lightning Alerts are fast day trades! The Traders Toolbox Swing Trades (check it out here). Swing trades that take days or weeks to work. The Traders Toolbox Masterclass (check it out here). Keith Kern Master Course DVD. The Traders Toolbox Power Options (check it out here). 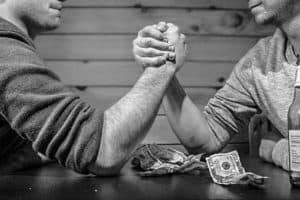 Keith Kern option trades – massive wins are possible! You can get a free 3 day trial to his most popular chatroom and stock alerts service and try it out for yourself. Most Keith Kern reviews are positive and this has been my experience learning from him in his webinars. Keith emphasizes that he only wins 6/10 trades and that falls to as low as 4/10 trades at times. This leads to the first piece of advice he has for you. Expect to lose , yup this is his mindset when setting a stop loss. He just assumes that the stock will tank and hit his loss! Because more than 50% of the time that is exactly what will happen! Keith is very comfortable stopping out of a day trade. The trick is to make more money on the winners than you do on the losers. Keith has a stop loss of about 2% – he is comfortable with this but you should set your own stop loss. I am much more relaxed than him (swing traders usually are!) and I am ok with a stock pulling back 5% or so. Screening for Stocks, Keith uses Yahoo Finance for free to screen for daily gainers – stocks that have started to build momentum pre-market and early in the trading day. I also use Finviz for this and set the screening for ‘top gainers’. Any of these big movers are potential day trades for Keith. People tend to shy away from stocks that are already making big moves because the natural feeling is that they will pull back. They usually do but not before you can make some profits from the move! Keith starts looking for these stocks 5-10 mins into the trading day. He looks for stocks that show both price and volume momentum. Chart Setups: Keith uses a 5 minute candle chart to trade these momentum movers. This is a very popular time frame for day trading. You can find free software that charts run in real time and plot 5 minute candles but Keith uses TC2000 software. The best way I have found to set up the charts is to set the view to show 3 days worth of trading but with 5 minute candles. This way you can see lines of support and resistance from the previous days but still trade a 5 minute day trading strategy. 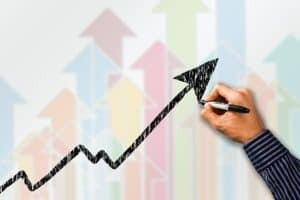 So once you have found the momentum stock that you want to day trade – what next? Keith uses 2 major trend lines to guide his trade and a really cool ‘ trail and trim’ trade management strategy. The main trend line that he watches is the 8 ema. This will always be his main stop-loss. The idea is that once he has bought a momentum stock he lets the price ride up the 8 ema. When the stock makes a big thrust upwards in price above the 8 ema, Keith ‘trims’ off some profit. If the stock forms a candle that breaks the 8 ema he sells the position. Once the stocks starts to ride up the 8 ema he takes profits such that if the stock does pull back to the 8 ema, he will never make an overall loss on the trade. This trim and trail type of profit taking is not an exact science and takes experience to get the feel for. However, when it is done properly, it allows a stress free trade – because when a stock goes green he knows he has a winner – the only question is just how much money will he make on the trade! Here is a video where he discusses some of these points in far greater detail. I hope it helps you! Keith Kern Lightning Alerts are one of his core services. Access to Keith Kern Lightning Alerts costs $99 per month or $899 per year. Keith provides a state-of-the-art chatroom where he alerts his trades in real-time. He live streams his screen to prove that he is actually executing the trades he is alerting – this is a great level of transparency. The Keith Kern Lightning Alerts are worth checking out if you want to try them for a month or two to see if his strategy resonates with your trading style. You can check out the Lightning Alerts sales page here for more information. I hope that you have found this information useful and if you want to learn how you can get more education on this strategy, signup for free email updates from Kyle Dennis (if you like biotech stocks). If you like the style that Keith Kern teaches in his Lightning Alerts chatroom, then check out his service for free for 3 days. Please check out my favorite tools and free swing trading course that I have used to make $50,000 trading stocks! I highly recommend that you read my review of the free swing trading online course (worth $1000!) for more details on how to download the course for free and to see if the trading strategies and chart patterns would work for you. Have you traded with Keith Kern? How did it go? Has this Traders Toolbox review helped you? Does anyone else have any Keith Kern reviews to share? Keith Kern Lightning Alerts is one of the best stock picking and alerts services out there. Traders Toolbox is a decent alerts service. Like the review, but it is too generous. The best way to play the alerts I’ve found is to go against the call. Paper trading buying puts when the alert is for the call till the strategy is honed. Not quite sure where you came up with all this malarkey. That so called master class is nothing but fluff and a bunch of charts. Any 10 year old kid could have copied and pasted that together in his lunch break at school. Kern gouged about 31 of us out of $2,000 for this POS. It’s worthless. By the third class, about half of the people who he scammed didn’t even bother to show up. Outright fraud, and you can blame Kyle Dennis for the grossly misleading advertising for sucking most of us in. Bryon…too generous? No kidding. That’s putting it mildly.